Recently, I have been challenging myself to get more creative and original with dinner making. It always seems like I rely on hunting down recipes, jumping from blog to blog, or attacking Pinterest. There's nothing wrong with that but I want to be more independent in my kitchen. Plus it's fun! So, last night I made pork chops. I'm not a huge fan of pork but when made right I enjoy eating it. For me pork chops need to be nice and tender since they do have a way of getting dried out. 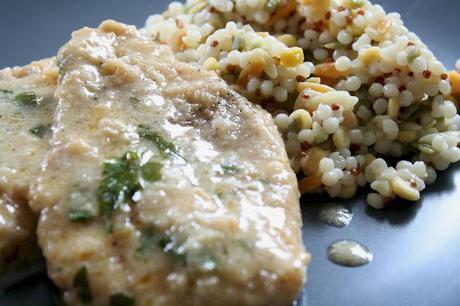 This is what inspired me to make this dish last night-- Home-Style Pork Chops. First combine flour, garlic salt & paprika. Mix evenly. Then go ahead and pound your pork chops a little. I always do this with pork chops. 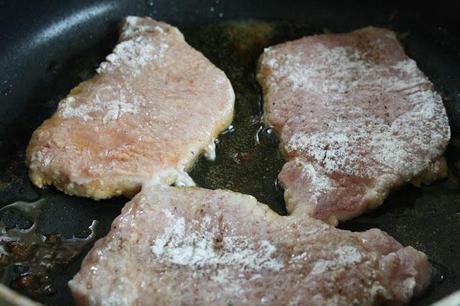 Lightly salt & pepper pork chops but beware that the flour mixture has a little garlic salt. So, do not over do it! Starting heading the oil on the stovetop. 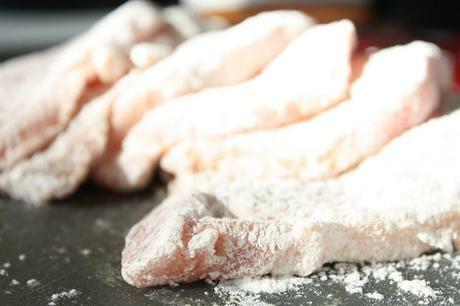 Next, dip chops in flour. Coat them and shake off excess. You are ready to put these babies in the hot oil. You are going to shear these until brown. Don't worry about cooking them all the way through. 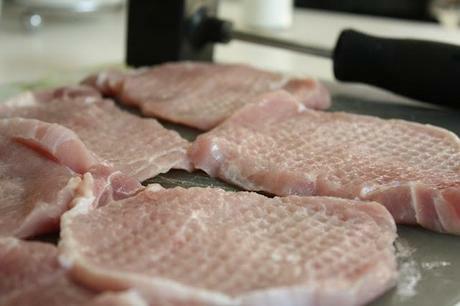 After you shear all chops remove them and set on the side. 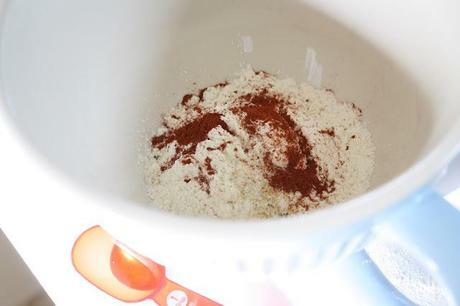 Turn burner low and add 1 tablespoon flour right into the oil and mix with a whisk. Add chicken broth and buttermilk. 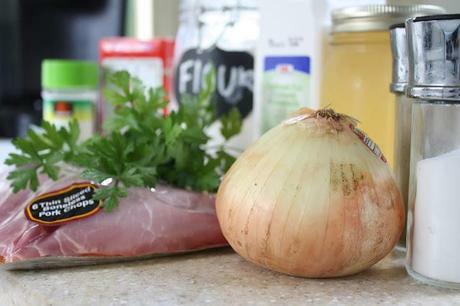 Use a small grater and grate about 2 tablespoons of onion. I picked this trick up from Rachael Ray. 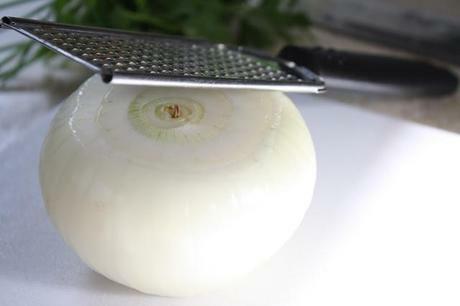 I hate chopping onion and so this method is a brilliant! Put chops right into the sauce and cover. 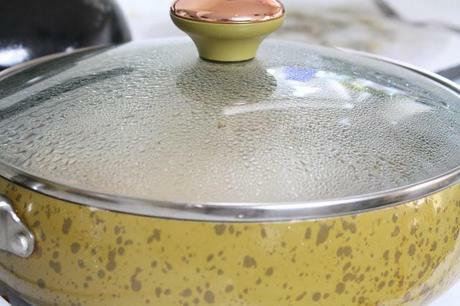 Let them cook for another 15 minutes so they cook all the way through and for the sauce to thicken. Lastly, add your fresh chopped parsley stir it up and there you have it! 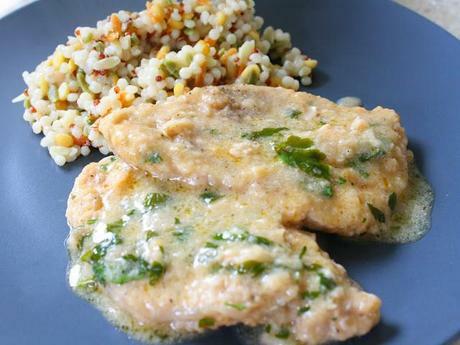 Home-Style Pork Chops. 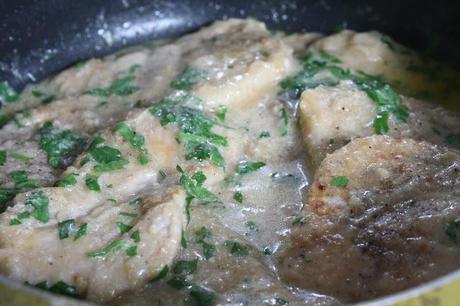 Tender, juicy and YUMMY! 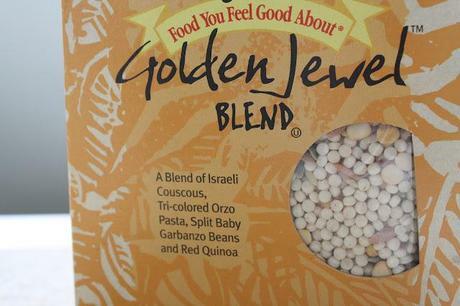 Make a side of your choice, I made a lovely blend of couscous, orzo, quinoa & garbanzo beans. I know, it's load. So tasty!